Compact in size yet bursting with a variety of attractions to suit all tastes, Adelaide is one of the best Australian cities to visit, offering excellent cultural attractions, shopping, vineyards and natural landscapes in the surrounding area. The coastal and cosmopolitan capital of South Australia, there are a whole host of brilliant things to do in Adelaide. Here are just some of the best Adelaide tourist attractions on offer, which shouldn’t be missed during your visit. North Terrace is one of Adelaide’s best known streets, and part of the boundary of the city’s CBD. Several of the city’s landmarks can be found on North Terrace, from the University of Adelaide to the Government House and the State Library of Southern Australia. If you’re looking for the best cultural places to visit in Adelaide, you’ll strike gold with North Terrace. 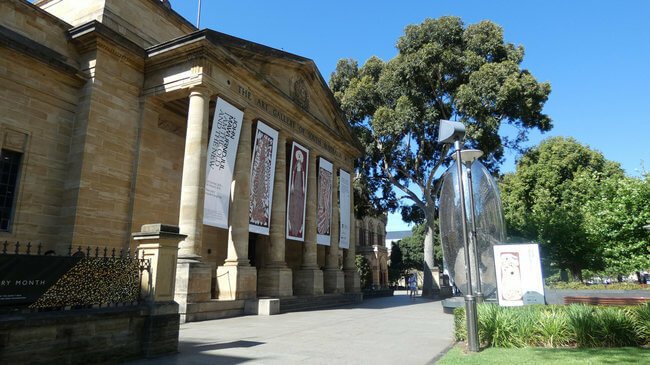 Among the notable cultural institutions its home to are the Art Gallery of South Australia, the South Australian Museum, and the Adelaide Botanic Garden. One of Australia’s best exports is wine, and from Adelaide you can easily visit the Barossa Valley, one of the country’s top wine regions. Just 60km from the city, you can even enjoy an excursion to the Barossa Valley as part of our tour visiting Adelaide. During your trip, you’ll be able to learn all about the region’s wine making processes, before sampling some of the best wines the Barossa Valley has to offer, such as the Barossa Shiraz. If you still haven’t quite had your wine fix after that, you can head to the National Wine Centre of Australia back in Adelaide city centre, offering a modern exhibition on many of Australia’s most famous wines. 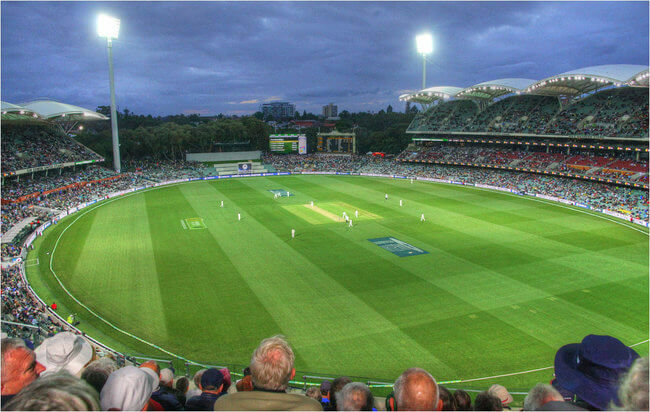 Perhaps one of the most famous sports venues in Australia, the Adelaide Oval hosts Australian Rules Football and cricket matches throughout the year. It’s a must-visit Adelaide attraction for sports lovers. Get behind the scenes of this notable cricket ground with a guided tour, where you’ll also be able to visit the Bradman Collection, an exhibit of memorabilia and photographs celebrating Sit Donald Bradman, one of Australia’s greatest-ever cricketers. The most visited attraction in Adelaide and in fact the entire state, the Adelaide Central Market sees more than eight million people visiting its 80 stalls every year. This completely undercover market opened back in 1869 and has flourished ever since, celebrating both local food and drink as well as the melting pot of cuisines that have helped establish Adelaide’s formidable culinary culture. 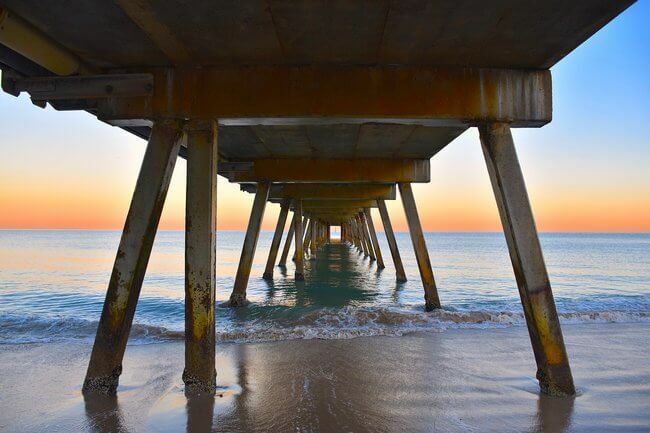 One of many stunning beaches you’ll find surrounding Adelaide, Glenelg is possibly the most popular, due to the fact it’s just 25 minutes on the tram from the city centre. Miles of golden sands await, with a picturesque jetty and the neighbouring Jetty Road. Soak up an unmissable sunrise or sunset from the beach, before heading to Jetty Road’s numerous trendy boutiques and eateries for the perfect day by the sea. 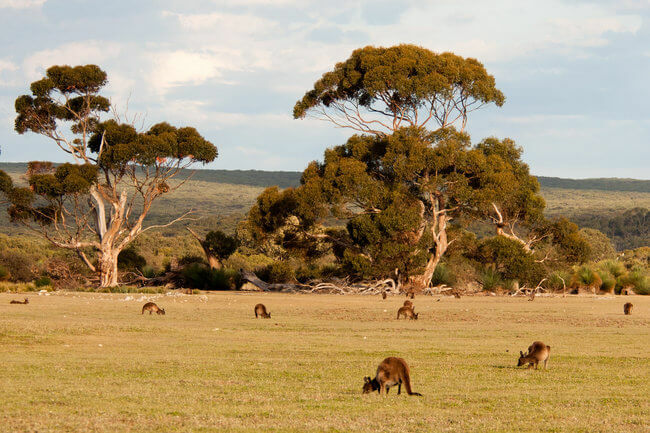 Situated 70 miles south-east of Adelaide, Kangaroo Island is a simply unmissable place to visit, with stunning scenery and some of Australia’s best-loved wildlife. Walk amongst a colony of sea lions, watch kangaroos roam freely across the scenic landscapes and meet cute penguins – Kangaroo Island offers a wildlife experience you’ll never forget. It’s another excellent day trip offered on a Distant Journeys tour of Australia, and one of our top reasons to visit Adelaide and South Australia. There are many more Adelaide attractions we could add to the list, but if you’ve been wondering what to do in Adelaide, this is a list of the most notable places to visit to get you started. It’s well worth discovering this wonderful city for yourself and seeing what else lies in store! Images by Dave Morton, Ins1122 and Paul Asman and Jill Lenoble via Flickr and Jason Wagner via Pixabay.